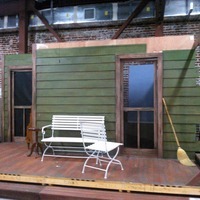 The stage set, during construction, at the Princess Theater, located at 115 West First Street, for Remade - Not Bought. Remade - Not Bought was a Celery Soup: Florida's Folk Life Play and Creative Sanford, Inc. play performed from October 18 through November 3, 2013. The play was written by Peter Newman, Brian Casey, Trish Thompson, Annye Refoe, and Laura Donaldson. 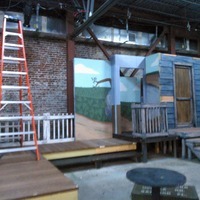 Remade - Not Bought was directed by Nicholas Murphy, the artistic director of Cornerstone Theatre in Orlando, and includes original music by Ruth King. 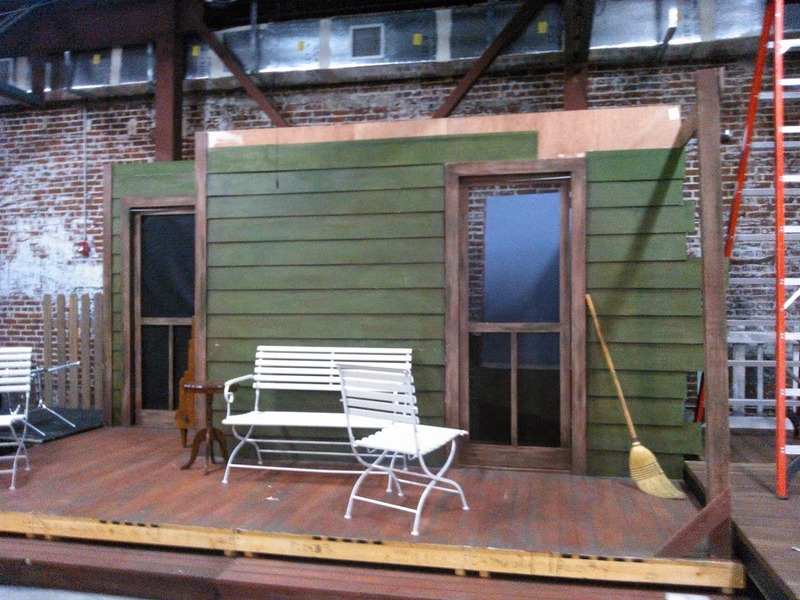 The play features stories real-life stories based on oral histories of Sanford residents. Original color digital images by Autumn Reisz, October 11, 2013. Reisz, Autumn. 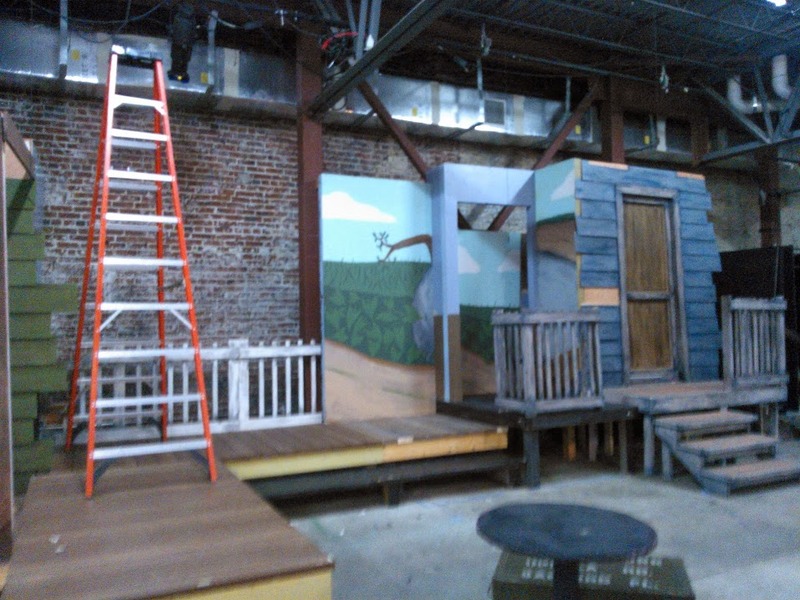 “Stage Set for Remade - Not Bought.” RICHES of Central Florida accessed April 25, 2019, https://richesmi.cah.ucf.edu/omeka/items/show/3061.